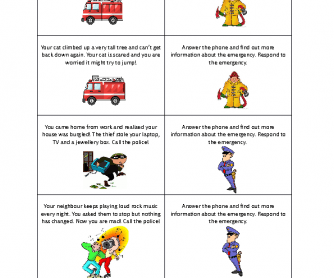 These role play cards are designed for elementary to pre-intermediate learners. There are 6 different scenarios split between the police, ambulance and fire service. Students work in pairs to prepare and then act out a role play. 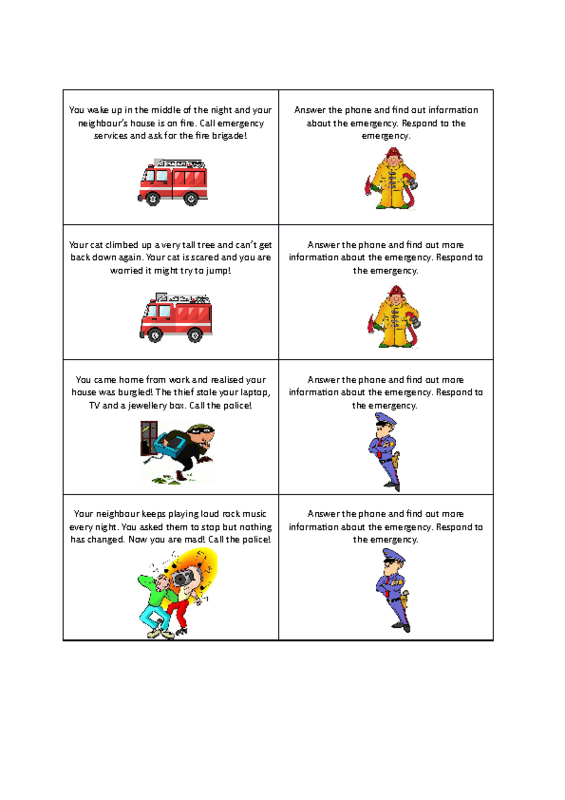 This is a good game to play at the end of a lesson on emergency services to recap and practice using emergency-related vocabulary and how to respond in an emergency.